The NIDA Archives holds historical information about NIDA and its activities dating back to 1958, including production programs, newsletters, course information and administrative records. These records are currently being preserved and where appropriate, will be made accessible for teaching support and research. In addition to the administrative and production archives, we also have Old Tote Theatre Company archives, personal archives and the Costume Research Collection. publications, such as newsletters and course and training information. include an extensive photographic collection. The photographic collection covers NIDA productions, buildings and activities. The holdings include many images taken by theatre photographers, such as Robert Walker, George Pashuk, Eric Sierens, Peter Holderness, Branco Gaica, Marco Bok and Lisa Maree Williams. The use of images may be subject to gaining permission from the copyright holder and any performers featured in the images. Copying charges may apply. Access to the NIDA administrative and production archives is subject to privacy regulations and commercial considerations. We reserve the right to close any records in our custody where information is sensitive or donor permissions apply and preservation concerns prevent access to originals. For further information and to make an appointment to access the archives please contact the Archives and Records Manager or phone (02) 9697 7595 to discuss your needs. 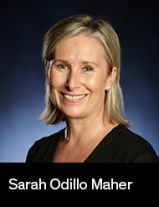 Sarah is a writer, script-editor and researcher. Her short films include Directions (Adelaide Film Festival) and Angel (Definition Digital Media UK). In 2016, her musical Possession (comp. S.Whitelock) won Melbourneʼs Short+Sweet Festival for Music Theatre.